Brian Chapple was born in 1945. He was educated at Highgate School and studied at the Royal Academy of Music with Lennox Berkeley and Harry Isaacs. In 2000 he was elected Associate of the Royal Academy of Music. He has had a distinguished career as composer of concert, sacred and educational music. His works have been performed, recorded and broadcast around the world. Early successes include the orchestral, Green and Pleasant (1973), winner of BBC Monarchy 1000 Prize, premiered and televised in Bath. It received international attention when it was selected for the Unesco International Rostrum of Composers in 1976. That year saw the premiere of Five Blake Songs and, at the Proms, of Scherzos for four pianos (“..a daring piece of musical collage, like an inspired improvisation” – Sunday Times). There followed premieres and commissions from the London Sinfonietta (Venus Fly Trap), Piano Concerto for Howard Shelley, Little Symphony for the London Mozart Players, Lamentations of Jeremiah (the BBC Singers gave memorable performances and broadcasts, notably on tour in Zagreb), the two Highgate Choral Society commissions, Cantica (1978) and the acclaimed Magnificat (1987). Musical Opinion described a 1994 performance of Magnificat as “imaginative and enthralling” and Chapple’s Ave verum corpus in the same programme as “a setting of extraordinary beauty and impact”. 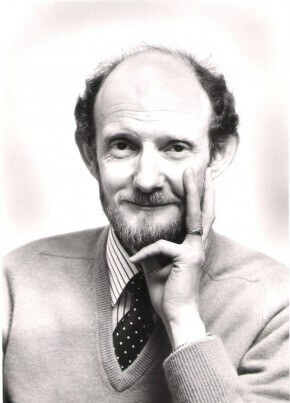 Brian’s association with Allan Wicks of Canterbury Cathedral produced the powerful, eccentric Praeludiana (1970) for organ. Wicks later performed the 1986 Magnificat and Nunc Dimittis and Come, My Way . Brian’s association with John Scott at St. Paul’s Cathedral resulted in Missa Brevis, Ecce Lignum Crucis and the substantial tercentenary commission, St. Paul’s Service. In Memoriam for string orchestra, prompted by the death of Brian’s parents and premiered in Southwark Cathedral, was described by Musical Opinion as “solemn yet uplifting, a profoundly moving tribute”. Other substantial works include Burlesque for two pianos, eight hands (recorded by Goldstone & Clemmow for four hands), Bagatelles diverses (premiered by Philip Mead) and Missa Brevis Exoniensis (2009) for Exeter Cathedral. The distinguished organist, Margaret Phillips gave the Scandanavian premiere of Six Bagatelles in Bergen Cathedral earlier this month. Brian’s works for young players, particularly for piano and for clarinet (Lazy Days, In The Pink, On The Cool Side, Swing’s The Thing, Ebony & Ivory, A Bit of a Blow) have retained their worldwide popularity over two decades. Safe where I cannot lie yet was specially written for the Exon Singers’ Buckfast Abbey premiere on 27th July. Brian is currently completing a piece for brass and piano, Processional.